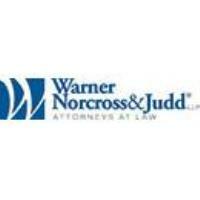 Warner Norcross + Judd has again demonstrated its commitment to diversity with the development of a new 1L Diversity Scholarship. This scholarship program is intended to promote diversity in the legal profession in Michigan by assisting first-year minority law students who are in good standing and attending the University of Michigan Law School, Michigan State University Law School or Wayne State Law School. The firm will award a $2,000 scholarship to a student at each law school. To be considered for the 1L Diversity Scholarships, applicants will be required to submit an application, along with a current resume, undergraduate transcripts, a personal statement and a one-minute video explaining why he or she should be selected for the scholarship. Applications are due March 31. For the first year, Warner will offer three scholarships in both spring and fall semesters, for awards totaling $12,000. Beginning in 2020, the 1L Diversity Scholarship program will continue in the fall with three scholarships totaling $6,000. This is the third minority scholarship program sponsored by Warner to promote diversity in the legal profession. The firm also offers scholarships to help students study for the law school entrance exam and scholarships to support law school, paralegal or legal secretarial studies. Warner has provided more than $185,000 in scholarship support since it began offering minority scholarships in 2001. For more information on this scholarship, or to learn about the LSAT Preparation Course Scholarship or the Minority Scholarship Program, visit http://www.wnj.com/About-Us/Diversity/Minority-Scholarships-and-Applications or email Courtney Failer, cfailer@wnj.com.